When managing your own travel programme, there are a number of invisible costs such as the time taken to process the order, the payment system and perhaps even the expense management processes incurred. 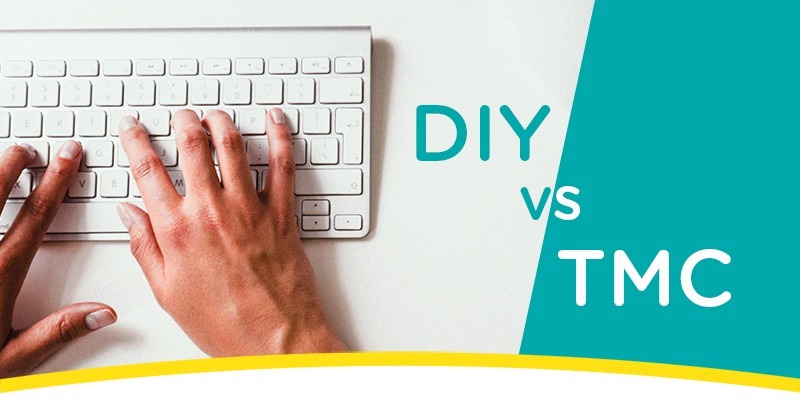 Speaking with SME organisations who have taken a DIY approach to booking travel, they usually do so without fully realising the true ‘hidden’ costs involved and often lack the expert knowledge and support when situations don’t go to plan. As part of our Hearts & Minds campaign we’ve been looking at ways to improve efficiency without impacting traveller satisfaction, not just for the big corporates but for companies of all sizes. When you have a number of people booking travel ensuring compliance and keeping within policy is always a concern. A good travel management company should offer a multi-tiered process, at Clarity we support this with both online and offline booking channels. Company policies can be embedded within our technology, so that out of policy bookings can be controlled with an authorisation process. Having a bespoke offering allows you to design and fit the needs of your organisation, making the booking process streamlined and efficient and keeping your budget on track. Online purchasing through public websites usually involves instant card payments or immediate billing. Companies also find the supporting financial documentation, such as invoices and receipts, vary in quality and detail resulting in additional time spent chasing travel suppliers for the correct formats. A key benefit of enlisting a travel management company is having consolidated electronic billing, which can be designed specifically for your business. All that important information you need to process your accounts can be added in such as cost codes or department references and more importantly flexible credit terms to minimise delays. When it comes to analysing travel spend it’s the quality, not the quantity of data you have (although here at Clarity we can combine both to provide the ultimate MI package). Reports showing traveller spend, booking horizons and behaviours should all be at your disposal but analysing them is where the real benefit lies. When your travel is managed externally, you should be able to rely on your provider to present the data in a way that demonstrates how to make those slight changes in strategy to achieve important savings and improve efficiency. Hand in hand with good reporting and business intelligence, dedicated account managers can identify the right opportunities for commercial agreements with key suppliers. As an SME, you may not be booking often enough to receive the best rates and therefore benefit from the volume booking rates travel management companies receive. Here at Clarity, our clients have access to over one million hotels and over eighty preferred airline deals alongside a range of ancillary and ground services. As a responsible employer the safety of your travellers in paramount. With so much going in the wider world, it’s hard to keep on top of it all. All our clients, regardless of their size, benefit from round the clock service, Clarity TwentyFour are our in-house team manage travel at all hours of the day. It doesn’t matter where you are or what time it is there will always be a member of staff at the end of the phone. Alongside the out of hours team, we also have a dedicated Travel Alerts department, again providing 24/7 surveillance on what’s going on around the world ready to alert travellers and companies should there be an emergency. For an SME our Clarity Hub service applies a more balanced, brighter approach to business travel. We use intelligent data to help us deliver the best possible experience - even for infrequent travellers - ensuring their safety and maintaining maximum productivity without increasing your travel spend.